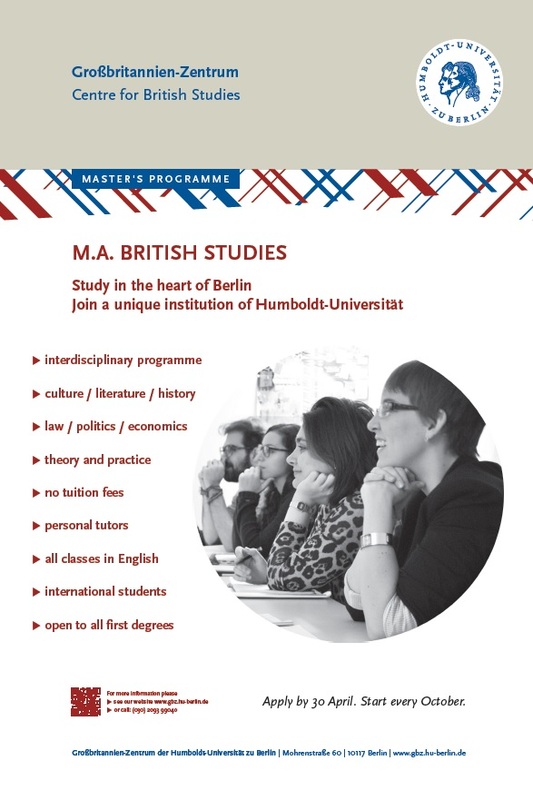 The Centre for British Studies in Berlin is now recruiting students for M.A. British Studies. Apply by 30 April, start in October.